At the heart of the Angel Town Centre, this traditional street market is open every day except Monday. On Sundays it also hosts Islington Farmers' Market. 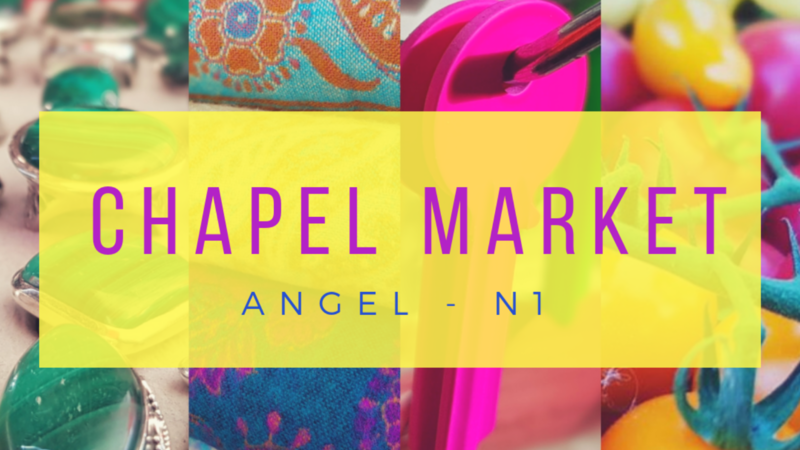 Chapel Street Market reflects Islington's traditional heritage and community, many traders have maintained family stalls for several generations. Officially designated as a market in 1879 and home to the first branch of Sainsbury's, other historic businesses can still be found today: M.Manze’s, a Pie and Mash vendor est. 1902 remains a local legend. The market street boasts several fantastic pubs and restaurants to stop at for a well earned refreshment after a long day shopping. Head here for a wide selection of products including fresh produce, street food, flowers, household supplies, travel goods, clothing, cards, electrical equipment, jewellery and more. There is something for everyone and always a good bargain to be found. Expect great products, lively characters and first-class banter!